This amazing safari will take you to an unparalleled concentration of wildlife and stay at Tanganyika Wilderness Camps, one of the nicest camps in the country. Serengeti is the most famous national park in Tanzania and home to the famous great wildebeest migration. Tarangire National Park has huge concentrations of animals in the Northern parks. 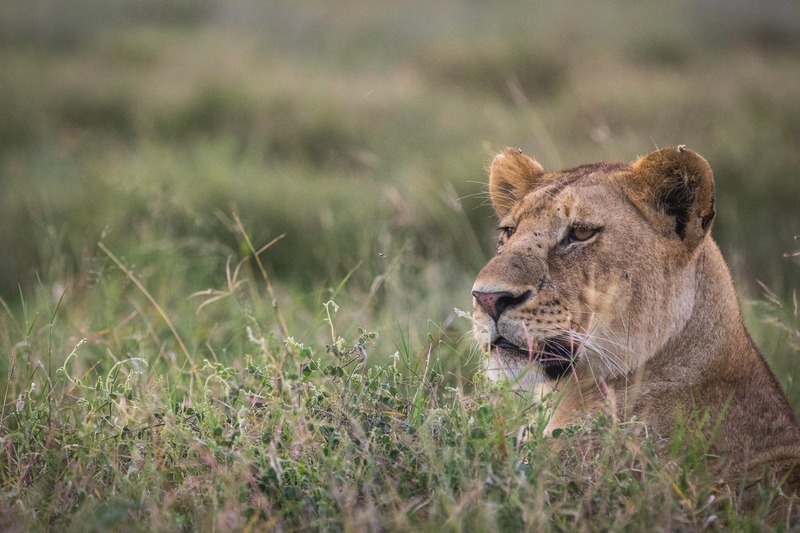 At Ngorongoro Crater, you will see a remarkable amount of wildlife, including lions, cheetahs and at certain times of the year and the wildebeest migration. Pick up, and meet and greet by your driver guide who will drive you to Mount Meru Hotel in Arusha. You will have a short safari briefing and have the rest of the day for relaxation. Enjoy the facilities of your hotel and have a good rest to prepare for your upcoming safari. After breakfast, we depart from your hotel in your 4WD comfortable safari jeep, with picnic lunch and drive to Tarangire National Park where by you will cover about 120 kilometers of tarmac road. Tarangire is the surprise package on the Northern circuit. Often overshadowed by the Serengeti and the Ngorongoro Crater, Tarangire has huge concentrations of animals in the peak months and a fraction of the visitor numbers of any of the other Northern parks. Herds of up to 300 elephants scratch the dry river bed for underground streams, while migratory wildebeest, zebra, buffalo, impala, gazelle, hartebeest and eland crowd the shrinking lagoons. Later in the afternoon return to the lodge. After breakfast, depart for Serengeti National Park via Ndutu Area for the migration viewing with picnic lunch, a distance almost 135 kilometers to reach Seronera barely 2 hours and a half. The Serengeti is Africa’s most famous park. Renowned for its incredible concentrations of predators and the Great Serengeti Migration of two million wildebeest, the Serengeti guarantees an exceptional safari. A million wildebeest. Early morning game drive in the park, back to the camp for lunch then depart to Ngorongoro with game drive en route passing through Olduvai Gorge. On the way, we also Visit Maasai Village and learn about their culture. Olduvai Gorge is a canyon carved by water through the southern part of the Serengeti Plain. The gorge is about the Serengeti Plain. Its chief claim to fame is the rich treasure-trove of human and animal fossils that it has yielded. Ngorongoro Crater is home to a number of lions, elephants, zebras, hippos, flamingos, jackals, rhinos, antelopes, many birds and other species. After breakfast, we drive back to Arusha with souvenir shopping en route. We arrive for lunch and we drive you to the airport afterwards.